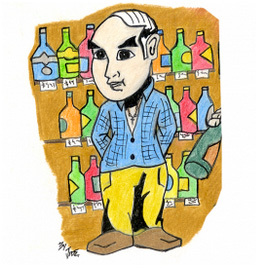 At Gerry's Wines and Spirits we pride ourselves in stocking the UK's largest selection of spirits and liqueurs. Over the years, our store in the centre of London's vibrant Soho has become famous for being something of an Aladdin's Cave of rare, weird and wonderful examples of the distiller's art. Gerry's founder. Michael opened the shop in 1985 and hasn't looked back since. 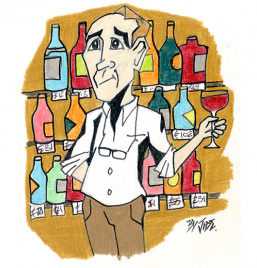 He is an encyclopaedia of knowledge on Wines and Spirits and an absolute West End Legend. He founded Gerry’s ! Enough said. Allen is Head Honcho and has been with the shop for nearly 30 years. He’s seen more booze brands come and go than most of us have had hot dinners and is responsible for all things Gerry’s. Being Michael’s original apprentice and manager of Gerry’s there really isn’t much he doesn’t know about booze. Wines and spirits, roast dinners, disco, doing deals and bad jokes. Vince is Allen’s partner-in-crime and has been at Gerry’s for around about the same sort of time. He’s responsible for all things aesthetic and internet-orientated and works closely with Allen on selecting new, weird and wonderful products for the shop. His love of red wine is relentless as is his passion for collecting spirits from around the globe with reptiles inside them. Red wine, rum and roast parsnips. Wines and spirits, travelling, bass and banjo, riding motorbikes and long involved stories. Resident rocker and bourbon enthusiast Markus comes from a strong Oddbins background and has been with the shop for four years. When not performing with his band Bear Vs Rhino he assists Allen and Vince with ordering new products and specialist sales. Wines and spirits, guitars, singing and dancing, reading and politics. 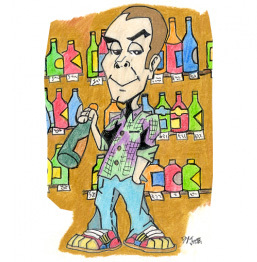 Founder of Back Bar Brands, Andy has been with the shop for ten years. He specialises in new, up and coming brands and comes from a strong sales and marketing background. If there’s an exciting product on the horizon its Andy’s job to find it before anyone else does. 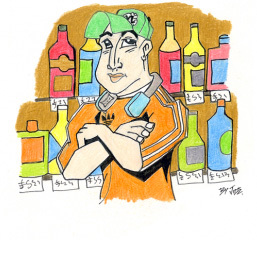 Wines and spirits, supporting Arsenal, drinking and psychology. 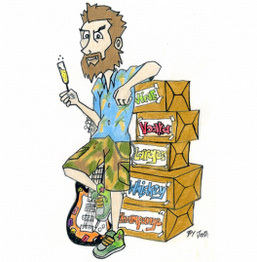 Matthew is our resident writer and contributes to several respected publications on all things boozy. He has a strong cocktail background and is founder of thebespokebar.com. 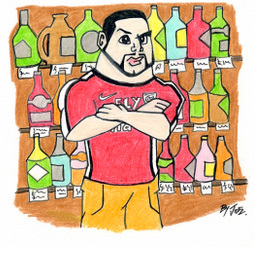 When not setting up home bars he works in specialist sales at Gerry’s. 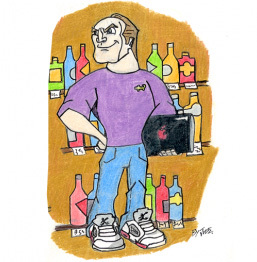 Wines and spirits, Nike Air Jordans, reading and writing. Marcus is our in house gin and wine aficionado. 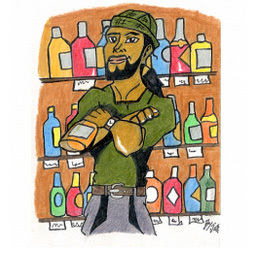 He has eons of experience in the wine and spirits trade and has been working at Gerry’s for three years. He is a leading authority on Dub Reggae and gin and is responsible for specialist sales and customer account management. Wines and spirits, dog walking, collecting vinyl and working the wheels of steel. Being tall. Glen is part of the Gerry’s family and works with us here and there when he’s not travelling the world in search of new spirits or doing drinks styling for booze brand’s photography shoots. He’s a connoisseur of spirits and cocktails, with a sterling background in the bar world and assists with specialist sales. Tequila, Pisco and cold beer. 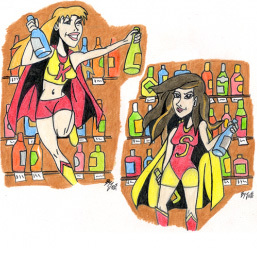 Wines and spirits, running bars, reading, cocktails and walking. Allen's twin daughters Kerrie and Sinead, when not attending England's finest universities and after spending all their money in cocktail bars, help dad out at the shop during the holidays. Having both been raised around the trade it's only natural that they'd end up picking up the knowledge from pops and are responsible for sales assistance and customers accounts. Reading, writing, events management, Italian and French, cocktail drinking and driving Dad up the Wall!